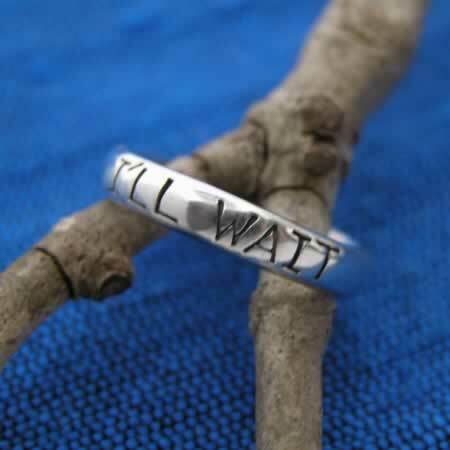 Wholesale Silver Promise Ring - Wholesale Silver Rings - Whirled Planet, Inc.
A simple, lightweight silver band with handwritten message of "I'll Wait." Ring measures about 1/4" across. Sterling silver. Handmade in Thailand.